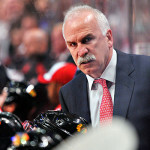 After winning the Stanley Cup for the third time since 2010, the Chicago Blackhawks have once again been forced to retool their roster to fit under the current salary cap (here is a full list of Chicago’s offseason moves). 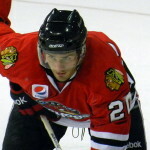 However, the Blackhawks organization, which many consider to be the modern-day dynasty, made it quite clear that the team wants proven winner Brent Seabrook’s steadying presence to remain on the Blackhawks’ blueline for the rest of his career, as the team signed Seabrook to an eight-year extension with an average annual value of $6.875 million. Seabrook, an excellent all-around defenseman, has a total of 318 points in 763 career games with the Blackhawks, including 71 goals and 247 assists. 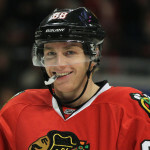 In 112 career playoff games with the Blackhawks, Seabrook has 19 goals and 38 assists for a total of 57 points. In my eyes this is an absolute steal. Seabrook has played a crucial role in the Blackhawks’ success, and there would most certainly be many teams willing to pony up more if Seabrook were to become a free agent next summer. Good on the Blackhawks for making Seabrook an assistant captain earlier this month and then taking care of the extension before the start of the regular season. 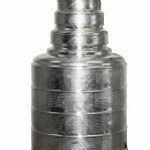 (This will be one less distraction for a team that is in the spotlight for the wrong reasons right now). 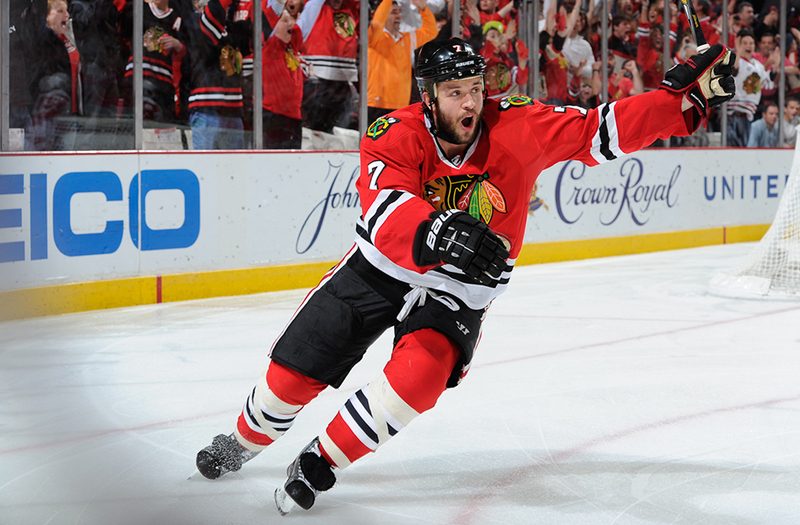 Seabrook also scores big goals or finds himself on the ice during important overtime situations in the playoffs.